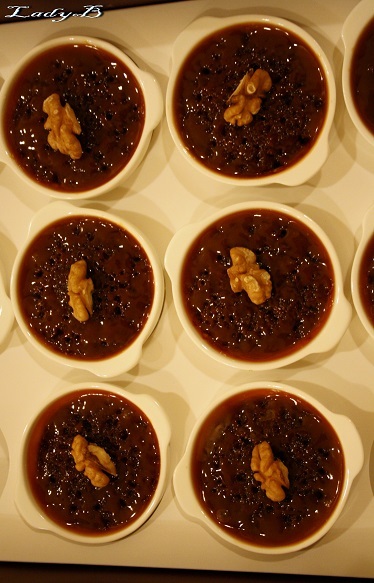 Tiny little cups of sticky Date Pudding, garnished with a chunk of walnut.. 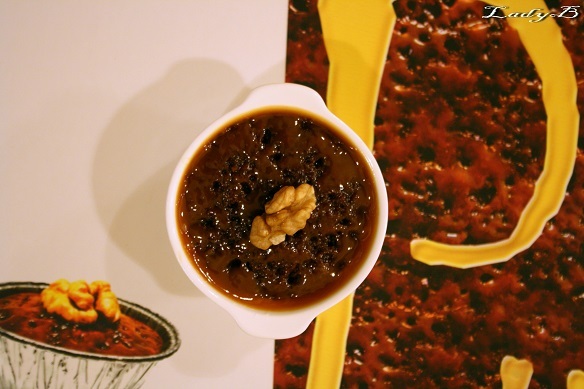 The overall taste was pretty good, I don't like dates but I have to remind myself that date pudding always taste like sweet caramel to have a bite.. 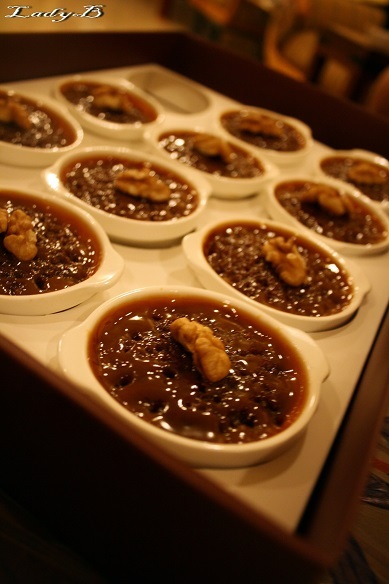 Loved the fact that it came in small ceramic pots and not dreadful tinfoil cups which makes it a lot easier to reheat.. It came with two small boxes of vanilla ice cream as well which with al honesty I haven't tried myself since the pudding was yummy without anything further..